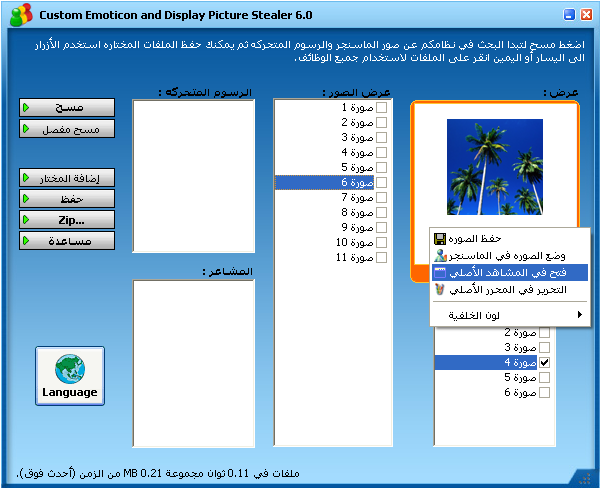 CE/DP Stealer 6.0 - Steal Pictures, photos and emoticons from MSN/Live Messenger contacts! 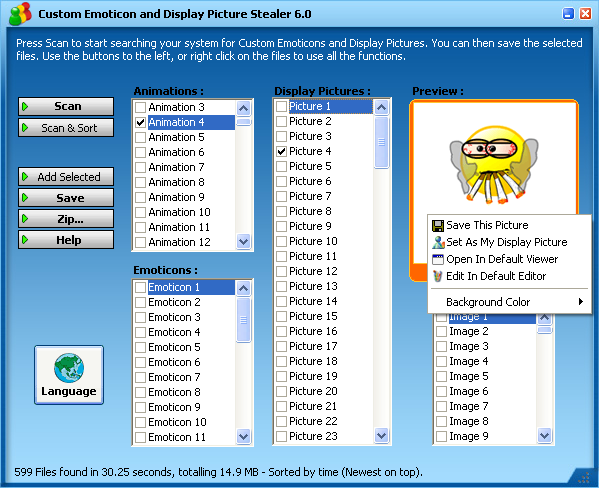 CE/DP Stealer is a program that lets you steal Emoticons, Display Pictures & more from your contacts on Windows Live Messenger and MSN Messenger! CE/DP Stealer lets you view and save your friend's Display Pictures and Emoticons. With it you can save Emoticons/Smileys and Display Pictures that any of your contacts may have used in chats with you! It has an easy to use interface and is packed with lots of features to make your Messenger experience much more entertaining and fun filled! English, Dutch, French, Arabic, Thai, Turkish, Spanish Italian, Swedish, Portuguese and German. For certain languages (Arabic, Thai and Turkish in particular), your computer will need to be configured to view that particular language. For further instructions, read the guide to Enabling International support for Windows XP. Windows 2000 users see here. Want to add your language to the next version of CE/DP Stealer? Simply get in touch with us and request your language! 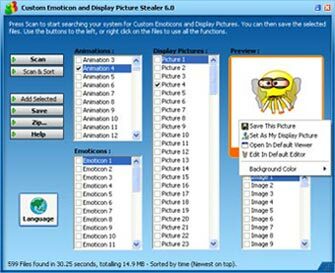 CE/DP Stealer (sometimes referred to as a custom emoticon and display picture crawler or ripper for MSN Live) is a software to view and save your buddies Emoticons and Display Pictures. Once installed, you can use the program to scan for Icons and Avatars that you are then able to save, or add to your own Messenger account. The found items are categorized by type (animations, emoticons, display pics, etc) and a built-in preview system is included. Detailed help and instructions are included within the software from the Help menu. 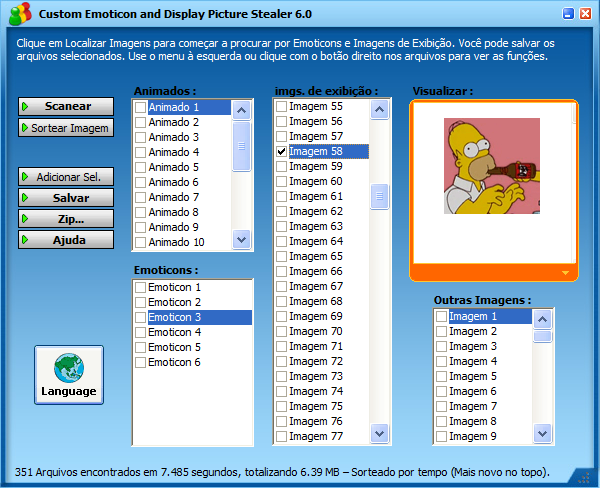 Sometimes you might get branded as a bit of a thief for robbing your contacts pictures with the MSN custom picture and emotion crawler, but it might be the only way to get the pictures that aren't shared, or maybe just a little payback for when your pictures get stolen!